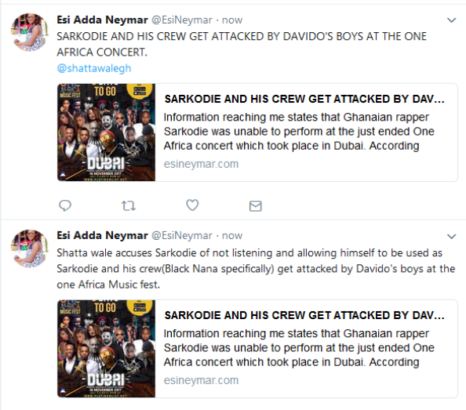 It was a night of African music as the One Africa Music Festival went down at the Madinat Jumeirah Al Sufough, Dubai. With performances from 2Baba, Tekno, Emma Nyra, Davido, Tiwa Savage, Wizkid, Flavour, Banky W, Vanessa Mdee, Victoria Kimani, and much more, it was quite a thrilling affair for lovers of African music. 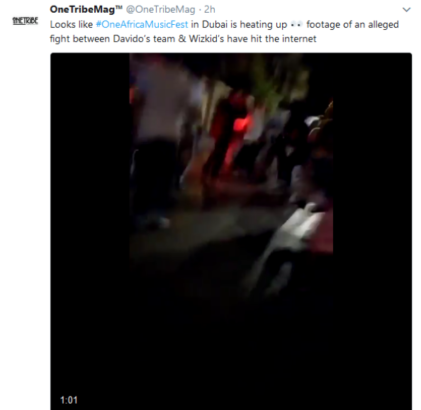 There are reports from Dubai that Wizkid and Davido’s team clashed, after Wizkid reportedly punched one of Davido’s team members.